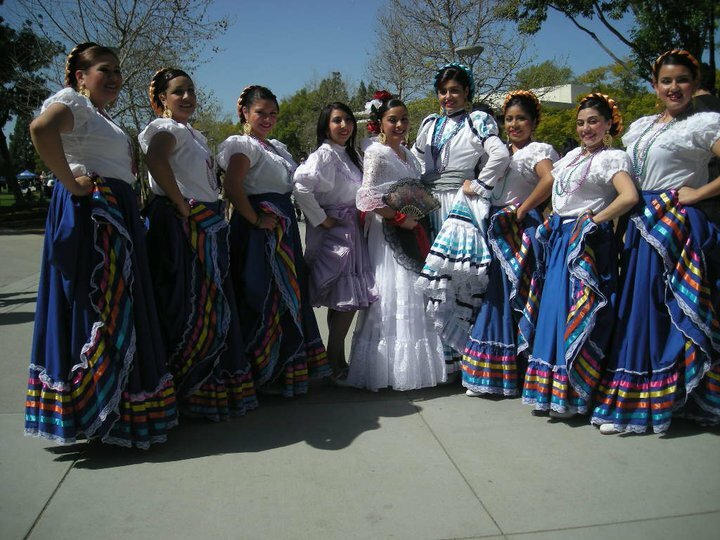 Ballet Folklorico de Cal State University Fullerton was founded in spring of 2007. Lead under the driven passion of two CSUF students: Christopher Sandoval and Michaela Kimball, the vision was to form an organization of CSUF students willing to learn and share their knowledge of Ballet Folklorico in a campus setting. Since 2007, the group has grown to more than 30 dedicated members! Every member comes with a different level of experience and background. What sets Ballet Folklorico de Cal State University, Fullerton apart from other groups, organizations, or clubs? Ballet Folklorico de Cal State University, Fullerton is a social and cultural blend of a dance troupe and a college organization. While getting the opportunity to learn traditional and interpretive dances of Mexican folklore at a very low cost, there are also volunteer opportunities, fundraisers, social events, and many amazing people to meet. Ballet Folklorico is also a great way to gain networking opportunities, and to maintain physical shape through exercise. Members of this proud organization also belong to a special group: the BF de CSUF family. Strong friendships are made and renewed at every practice and there is never a shortage of smiles along the way. Not to mention, it is fun! So if you are interested in joining the BF de CSUF experience, get a pair of folklorico shoes and come on in! We would love to get to know you!